Bipolar Disorder in adolescence has confused many professionals in the psychiatric field. The disorder is difficult to diagnose and was originally believed non-existent before adulthood. Dr. Richard Smith, Child Psychiatrist, attempts to explain why diagnosis is so difficult and what can be done to improve recognition of the disorder. In an article from Brown University, Richard Smith, M.D. Explains the difficult road of diagnosing bipolar disorder in children and adolescence. Smith explains that Dr. Puig-Antich and other researchers proved adolescents and children could have depression, an occurrence once thought impossible. During the 1970’s through 1980’s children and adolescents were believed incapable of having depression or bipolar disorder. Current research indicates that mania can also occur in adolescence, although there is still debate about diagnosing children with the disorder. Part of the reason that it is so difficult to diagnose bipolar disorder in adolescence is due to the disease having very similar symptoms to other illnesses. According to Smith, “DSM criteria for mania may not be met, or symptom duration or cycling patterns may not fit” (Smith 1). Attention deficit hyperactivity disorder can mimic the manic episode of a teen with bipolar. Certain other psychiatric disorders such as schizophrenia could be misdiagnosed in a teen having hallucinations from severe manic induced psychosis. Oppositional defiance disorder can also be diagnosed in a teen that is having aggression from bipolar disorder. Hypothyroidism (low thyroid function) will also mimic bipolar disorder since it can appear to be depression. Hyperthyroidism (over active thyroid) can mimic a manic episode and ADHD. Additional symptoms are present in teens that are not apparent in adulthood. As one can tell, it is not so easy to define bipolar disorder by symptoms alone. Bipolar disorder is usually diagnosed between the ages of 20 to 35 making it difficult and unusual for most teens to be accurately diagnosed. 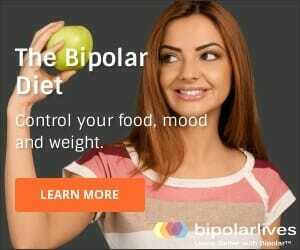 Many adolescents diagnosed with bipolar disorder are between the ages of 12 and 19, presenting their illness initially with a depressive episode, later to be diagnosed bipolar at the onset of their first manic episode as an adult. Most diagnoses in adolescence of bipolar disorder are due to heredity, behavior reported by family, and psychiatric observation. Family history of bipolar disorder is very important. Symptoms reported by a patient do not give enough information to lead to an accurate diagnosis by themselves. Symptoms of depression in adolescence vary and are often confused with normal hormonal changes of puberty. Persistent sadness, frequent crying, and depression are common in puberty. An adolescent with depression may lose all interest in activities that they previously enjoyed participating in. Low energy levels, poor concentration, and complaints of boredom are also common among teens exhibiting depression. Changes in eating habits, such as overeating or not eating enough are other signs to look for in a depressed teenager. Many of the symptoms of depression can easily be confused with a healthy, very normal, moody teenager. When performance in school or social functioning in effected, a psychiatrist should be consulted. A manic episode in a teenager is recognized by an extremely elevated mood, either euphoric or aggressive. Manic symptoms in adolescence may exhibit as silliness, unusual happiness, or extreme irritability. Energy increases and the adolescent may be able to go without sleep or very little sleep without feeling tired. Increased talking, talking too much, too loud, or changing topics quickly are common in mania. Ability to concentrate is diminished and seems to jump from different subjects. In extreme cases of mania, one may feel indestructible and participate in high risk-taking behavior. Most people experiencing mania will not report it to loved ones or physicians because they enjoy the feeling of being “high on life”. Treating mania is important since it may cause someone suffering from bipolar disorder to harm themselves. Elevated moods are usually followed by severe depression or suicidal idealization. New, effective, methods of determining bipolar disorder are needed. “If we too readily call a wide spectrum of difficult, moody behavior bipolar disorder, what might we be missing? We run the risk of treating things the same that are very different, entities that might need a very different approach in thinking about causation and remediation” (Smith 6). Brain imaging is one method that can identify bipolar disorder, though usually too expensive to be practical for most families of affected children. Reliance on feedback from close family members, genetics, and DSM criteria are still the most effective means we have today for diagnosis. A child has a five to ten percent increased risk for developing bipolar disorder if one biological parent has the disorder. Parents and teachers will often notice behavioral changes in an adolescent that they may not notice themselves. Most bipolar adolescents will meet a majority of DSM criteria for bipolar disorder, the ones that do not fall into one of these categories will need careful review from physicians to receive proper treatment. Until better methods are discovered, families and physicians will continue to struggle with proper treatment for adolescent bipolar disorder.